It takes awhile to master the art of knowing *exactly* when your period will arrive each month. When it comes as a surprise, it can be a horror story. The best way to avoid this awful sitch? Be prepared all the time. That way, when it’s your time of the month, nothing can get in your way. 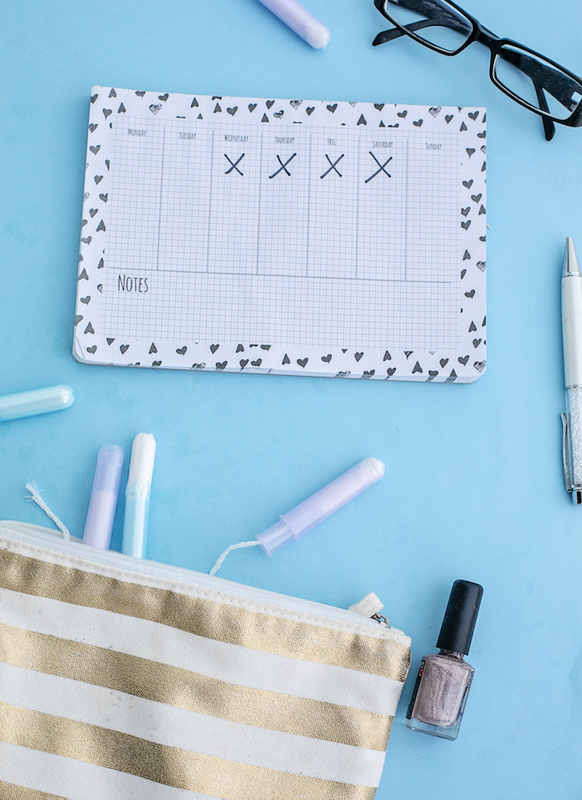 Here are the best ways to be period prepared. There are lots of ways to tell when you are about to get your period. Finding yourself a little bit moodier today? Having a slight headache? Craving odd foods? These are all signs that your period is on its way. It is important to listen to these—as well as other signs—to know when you are getting your period. Every body is different, so pay attention to the signals your body gives you before your next period. It's the worst feeling ever when you get your period and reach into your stash only to discover that it's empty. Even if it isn’t that time of the month yet, go and buy more tampons, pads, etc. if you're running low. It’s better to be extra prepared than not prepared at all. After all, a girl can never have enough tampons, pads and pantyliners. Every once in a while, your body decides the best time to get your period is when you're at the mall, swimming with a friend or basically anywhere extremely inconvenient. So, create and carry your own emergency period kit for these not-so-awesome moments. Fill it with sanitary supplies, as well as an extra pair of underwear and individually-wrapped moist wipes, and toss it in your purse. Now you will never be without! The secret to figuring out your cycle is simple: pay attention. A period comes on an average of every 28 days. So, mark on your calendar the day you get your period and count 28 days later. While the day may never be exact, you will always have an idea of when it’s coming. Using an app such as Spot On from Planned Parenthood is a great way to track your cycle, and also allows you to document how heavy your period is on a certain day, how you're feeling during your period and more, keeping you more in tune with your bod. How do you stay prepared for that time of the month? Let us know in the comments.